We Climb the Ladder so You Don’t Have to! 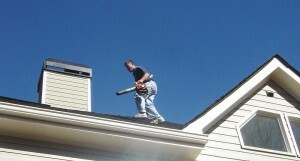 Gutter cleaning is a highly dangerous job! While you may have done it yourself years ago, it truly is a job best left to the professionals. This is why when it comes to downspout and gutter cleaning, Atlanta residents call Sunshine Window Cleaning, Inc. We climb the ladder for you, thoroughly clean your gutters and downspouts, and then we clean up the mess! Because leaves can overtake a gutter in no time, allow us to place you on a regular cleaning schedule to protect your home. We recommend gutter cleaning for Atlanta residential and commercial customers a minimum of twice a year to prevent clogging because if a gutter or downspout is clogged, it can easily back flow into your beautiful home andruin walls and carpet, and eventually damage woodwork. See our pricing page for more information on how to obtain an estimate or request a free online quote. Please view our gutter cleaning services video (above right) for a detailed explanation of how our professionals will be cleaning your gutters, or keep reading. The newest and most modern gutter cleaning method is to blow off the roof and gutter debris. This method removes everything that is in your gutters quickly and easily without the normal mess. We will then check and clean all downspouts. Once the gutters and downspouts are clean, our team will come down to the ground and clean up the debris. If a suitable area of your property is not available, we can bag and carry off all debris if you would prefer. There is a small additional fee for bagging debris. 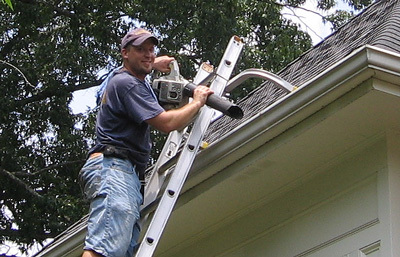 We will use a ladder to access all your gutters. We will then check and clean all down spouts. 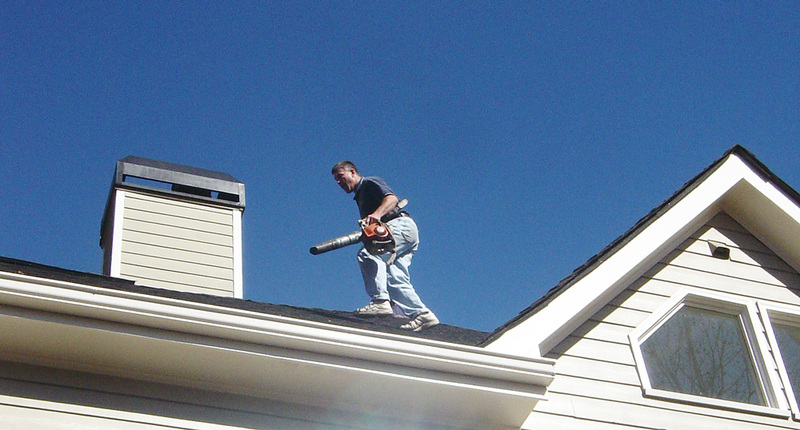 We are confident that you will be satisfied with our gutter cleaning services. To ensure you are happy with the results, we guarantee it. We will not leave your property until you are completely satisfied, and if you’re not home during the appointment, no problem; we will return to make it right. The guys were great and went beyond what was needed ! We had a water problem in the basement and they were so willing to help out in any way we needed! I appreciate the caring and help very much ! Great job fellas ! I can’t recommend them enough ! Many thanks to Alfredo and Pringles for doing such a great job cleaning the windows of my house this afternoon. The window-glass is OLD and fragile and they were careful to gently hand-wash each one. They even removed 3 very old-fashioned storm window frames and washed every pane of glass by hand. I will recommend Sunshine to friends and neighbors and definitely call them again. Sunshine Window Cleaning was AWESOME in coming out last minute to clean my gutters. I am selling my home and one of the items left was gutter cleaning. Despite their busy schedule they fit me in THAT SAME day (everyone else was like one to two weeks out) and charged me a VERY reasonable price. Thank you soooo much. Sunshine cleaned the gutters on my house. They did a great job and even hauled away every bit of debris afterwards. I will be calling them again soon to do more work on my house. Everyone from the office was very helpful and friendly. Looking forward to working with them again! Oh, I just had my gutters cleaned. Sunshine! I love them. They showed up on time, and I have used them quite a few times. They are always there exactly as planned. Very fairly priced. High quality. They clean up everything. I did have gutters cleaned. It was Sunshine, and they did a fabulous job, a great job. They were very polite, and they guys were real professional. They just did the gutters. I haven’t had the windows done. The guys were great and went beyond what was needed ! We had a water problem in the basement and they were so willing to help out in any way we needed! I appreciate the caring and help very much ! Great job fellas ! I can't recommend them enough ! Many thanks to Alfredo and Pringles for doing such a great job cleaning the windows of my house this afternoon. The window-glass is OLD and fragile and they were careful to gently hand-wash each one. They even removed 3 very old-fashioned storm window frames and washed every pane of glass by hand. I will recommend Sunshine to friends and neighbors and definitely call them again.